One of the biggest problems facing Forex traders is complacency, so let’s talk about that and more right now. Hi, traders. It’s Andrew Mitchem here, the owner of The Forex Trading Coach. Today is Friday, the 6th of May. I want to talk about a big issue that faces so many Forex traders, and it’s all to do with complacency. You see, the Forex market is the biggest and the most volatile market in the world, and you really do need to take some time to get a good understanding of how it works, how you operate as a trader, and how the market as a whole operates. Because I find that so many people think that they’re suddenly going to become market experts after a few weeks or a few months. Unfortunately, that’s just not going to happen. Think of it this way. You wouldn’t just walk into a brand new industry and walk into an office or a factory, and after few weeks, expect to be the manager, or expect to be a consultant, or expect to be an expert within that field. Trading Forex is absolutely no different. It takes time and you must learn to walk before you can run, and don’t jump in head first. Two of the most common phrases that we use, but it’s so applicable in trading. It’s really important that you do that and start small. Treat it as a business and just remember that if you’re at that stage, you are new to trading. It doesn’t matter how much money you might have to throw at it, but you’re still new to the industry, and it’s really important that you understand that, and you then take the opposite end of the scale. I get many emails from people saying, “Hey, Andrew. I don’t have the money to pay for your course,” or, “I’ve got a $100 account. That’s all I can afford, but how am I going to make some money on that? What money can I expect to make on that account?” With that type of person, you got to be really careful because you can’t expect to solve all your life’s financial problems just by becoming a Forex trader if all you can afford is $100, and so you have to be realistic and you think, “Well …” If you got $100, so let’s say you doubled that in 1 year, that’s a fantastic achievement to make a 100% return. They go, “Oh, but I’ve only now got $200,” but I’m saying, “Well, yes, you do, but that’s only because you have $100 to start with.” The fact is you’ve doubled that account … It’s more important to double that account over time. Don’t expect to suddenly double that account in one trading or in a week because that only is going to lead to one thing, and that’s failure ultimately, so it’s really important to have that understanding of this is a big market. You are a very small fish. We all are a very small fish within a massive market, and we need to have an understanding of how it works overall in order to become a profitable trader. Now, for some people, they might like to join a course. They might like to have a mentor, and that’s one thing. There’s a course I offer to help people, and it’s very important from my point of view that I offer consistency, and so every day of the trading year, I place daily market analysis, daily trading suggestions, strength and weakness analysis for my members to go and access at the same time every single day. 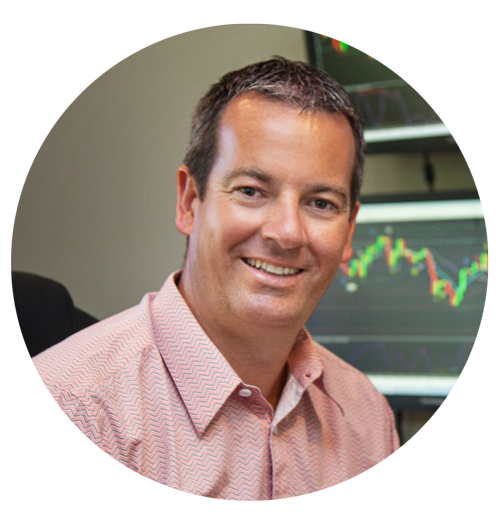 Every 2 weeks, I hold live trading room webinars, so people can jump on to those live trading rooms, and watch me trade on a live 6-figure account, and see all the trades I’m taking, good trades and bad trades. For me, the consistency is within my trading, and the consistency is what I offer people. You need to have almost like a boring systematic approach. A lot of people think trading is going to be wow, fantastic, and lots of parties and cocktails, and making all this money, and all the excitement like you see on TV or the internet tries to tell you. The reality is you need to be doing almost … Once you understand the system and the market, you need to be methodical, quite boring in your approach, and just do the same things all the time. If you see a great set-up, then take that set-up. If you don’t see a set-up, then don’t take anything. Don’t go inventing things, and so it’s been an understanding of how you are as a person, how you are as a trader, and how that fits into the overall market. Complacency is a big problem. As Forex traders, we all think we know everything when we know not much or emotions start coming in like fear or greed, or you think that just because you’ve taken a couple of good profitable trades, you’re invincible, and then of course, that’s going to hurt you also, so it’s a really important subject to get a grasp of and to understand. I hope that helps you. If you are watching this video on the 9th of May, don’t forget that my 7th birthday special starts today or the 10th of May, depending on where you are in the world. It lasts for 77 hours. Jump on to that because it’s a deal like I’ve never done before in 7 years as a Forex coach, so I hope that also helps you if you’re interested in getting started with some tuition, and some mentorship, and my help. Once again, this is Andrew Mitchem for The Forex Trading Coach. Have a fantastic weekend. I look forward to talking more Forex with you this time next week.